I have never watched a single musical because I am not a literature kind of person and thought I am bound to fall asleep. I don't think I will appreciate the very exaggerated way of expressing storylines. I am interested in music but am very selective when it comes to what kind of music. All in all, musical is nowhere near my to-do list. Then I came across We Kid, a Korean variety show that features kids singing. It introduced me to this song "황금별" or better known as Gold Von den Sternen from the musical Mozart. 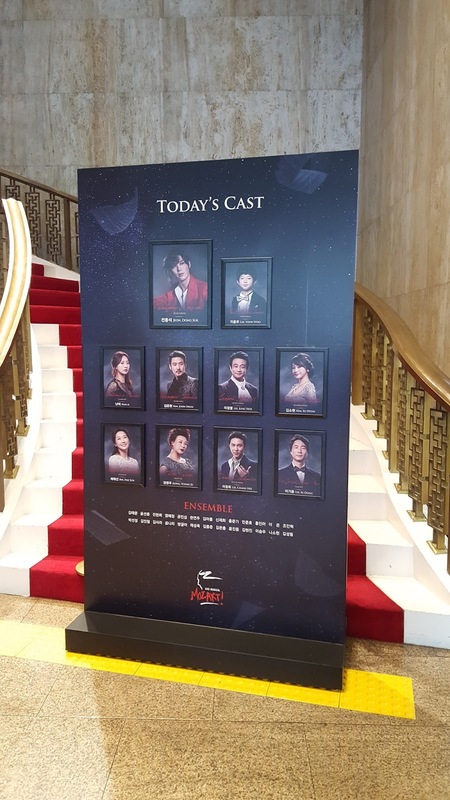 Although it's a German production, this musical was repeatedly shown in Korea. Just this one song and it got me interested in musical. I was deciding whether to watch Les Miserables or Wicked which will be showing in Singapore. The songs from both musicals were not to my liking although I know that they are kind of popular. And then... 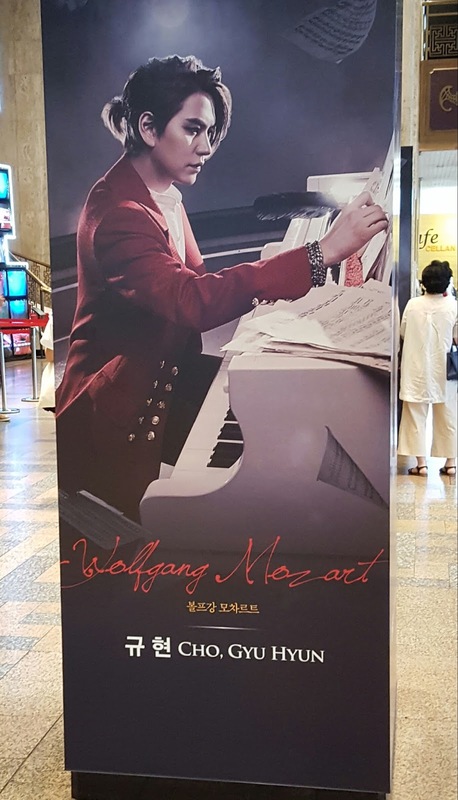 I guess I was in luck to find out that it Mozart will be shown in Korea again in 2016! So the decision is clear, no need for me to deliberate between the two anymore. 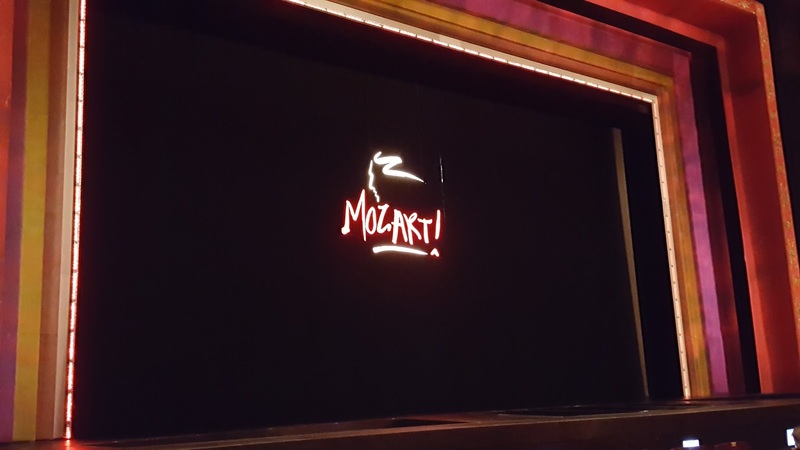 I am going to watch Mozart due to that one song. But wait, doesn't sound right to go through a 175min musical just for one song. 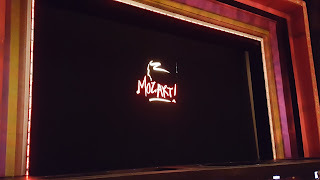 I tried to watch the Mozart musical concert which featured JYJ Junsu and fell in love with a few more songs. I must say that the songs from Mozart are superb. It got me interested in the life of Mozart (ashamed to say this because I grew up learning piano). Mozart is played by three different actors namely Lee Ji Hoon, Jeon Dong Suk and Super Junior's Kyuhyun. 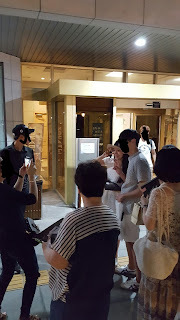 Of the three, I only know Kyuhyun so I thought I should attend his session as I like his singing. After reading reviews, it seems like most people are recommending Jeon Dong Suk. 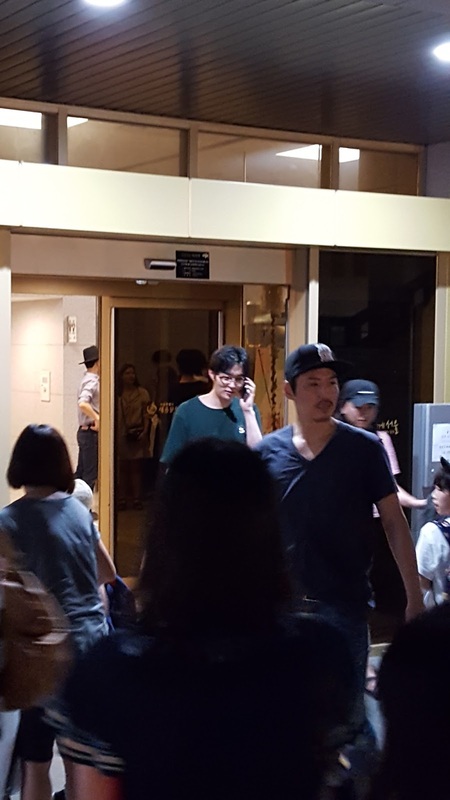 I can't find much information about him, only know that he is a musical actor, born in 1988, served as marine corps and has not failed a single audition. His singing skill is superb, you can listen to this. Not bad looking too. So far I enjoyed Junsu's version but heard from reviews that Park Eun Tae and Park Hyo Shin's one might be the best ones so far. With regards to the musical this time round, saw some reviews which labelled it as disappointing mainly due to storyline (they did some changes), poor harmony by the ensemble, orchestra being too loud, poor performance by 홍록기 etc. There are also good reviews for it. Nevertheless, still determined that this will be my first ever musical due to the songs, which many agreed that this is one big plus for this musical. For those who are interested, you can purchase tickets online at here (English version). 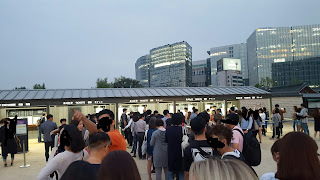 Tickets are selling from ₩50,000 to ₩140,000. It is held at Sejong Center (nearest subway station is Gwanghwamun) from 10 Jun till 7 Aug 2016. There will be discounts if you are purchasing tickets for weekday afternoon, Sunday night or for more than 3 tickets. Ticketmonster is also offering the Cat A seats at 2 for ₩70,000 (50% discount, only for certain dates, all other dates at 40% discount). For more info click here (in Korean). This is the casting schedule taken from Interpark website. The second column states the actor for Mozart. 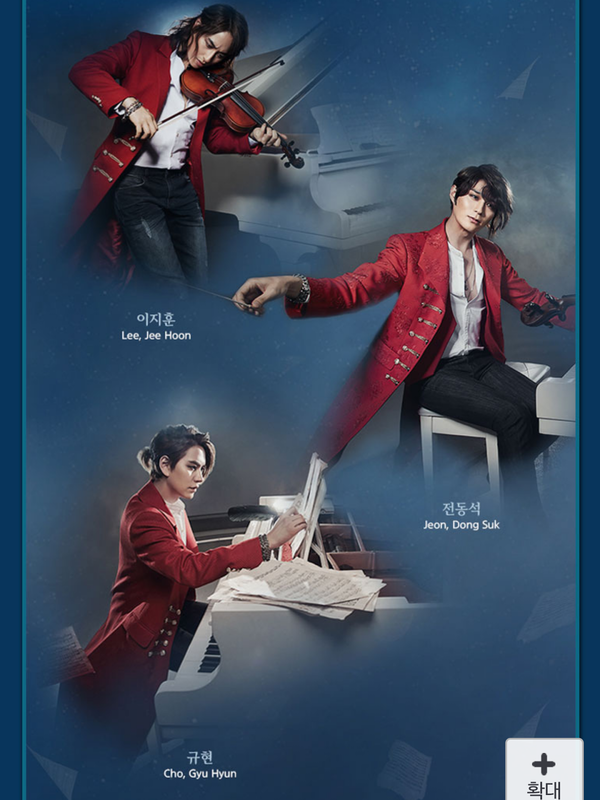 (이지훈 = Lee Ji Hoon, 전동숙 = Jeon Dong Suk, 규현 = Kyuhyun) The schedule is subject to changes without prior notice. If you are just interested in meeting the artistes, you can wait outside the venue either before or after the musical. They are bound to appear. Update: I went to watch Jeon Dong Suk's performance and it was really amazing. Would definitely want to watch this musical again.